Offset car crash was serious enough that it almost claim his life. The Migos rapper posted a bunch of photos of himself and his mangled Dodge Challenger muscle car on Instagram on Saturday. Offset is now out of the hospital but his injuries were serious enough that it left him pretty shaken up. 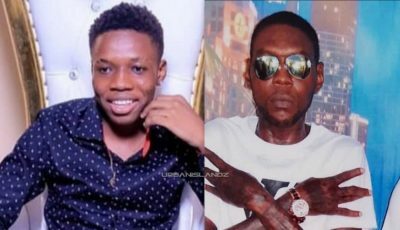 The rapper says he is thankful to God for sparing his life in an accident that could’ve ended badly for him. 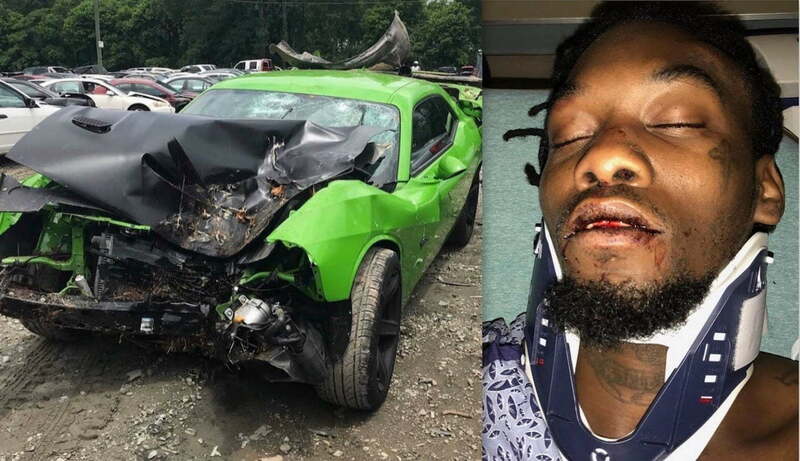 “This is why I thank God Every day I could have been dead from this accident thank you all for you prayers all I can say is (God is real get with him ) He saves lives,” Offset wrote on Instagram. The Atlanta rapper didn’t divulge any details about the crash, but the images of his injuries and his totaled car paints a vivid picture of what happened on Wednesday night when he ran off the road and hit a pole head-on. On Friday, Offset posted a video of himself in the studio working on some new music with bandages on his hand. We’re told that he suffered a sprained wrist and a possible head concussion. One of the photos he shared show him bleeding from his mouth which backs up that reporting.